Marietta Police are taking this case and making a rallying cry to raise awareness and action around domestic abuse. MARIETTA, Ga. -- Police say they were called to a home on Bonnie Dell Drive for a welfare check Just before 3:30 a.m. Wednesday. When they entered, police said they found a woman who had been strangled in an act of domestic violence. Detectives said Xi-anna Graham was strangled by her live-in boyfriend, 27-year-old Christopher Gene Scarboro. She was only 24 years old. According to the arrest warrant, Scarboro is accused of grabbing the victim around the neck with his bare hands, choking her, then throwing her lifeless body onto the ground. Police said at least one of her four children was home while she was killed. He is also charged with cruelty to children-third degree. The warrant says the suspect knew a child that was present. The child described hearing the "loud commotion." He said he was used to seeing Graham's four children jumping on the trampoline. Scarboro has a history of violent behavior according to 2018 court documents. 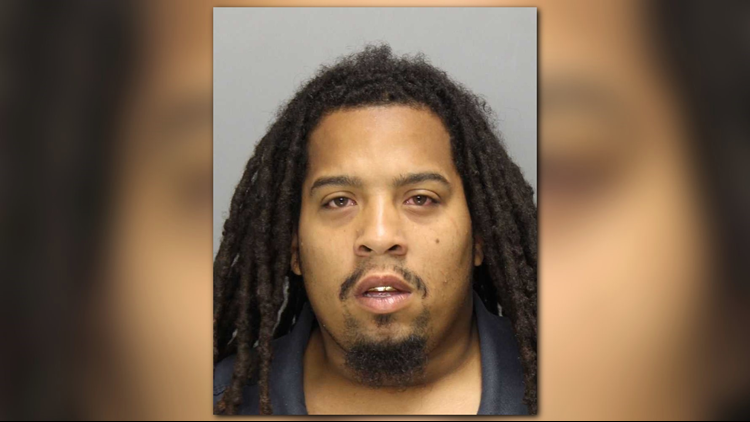 During an incident on July 4, warrants state he struck a man in the face. On another occasion months earlier, on May 27, police were called after Scarboro allegedly headbutted another woman. The other charges listed on the warrant are homicide-murder and aggravated assault. Now, Marietta police are pleading with anyone who witnesses signs of abuse. "Our hearts and thoughts and prayers go out to everyone involved in this tragedy," Marietta police spokesperson Chuck McPhilamy said. "If you're the one watching this and you know someone who may be in a situation that they shouldn't be and that it could be an abusive situation that they shouldn't be, please the life you could be saving could be theirs." According to the Georgia Commission on Family Violence, there were 121 domestic violence-related deaths in Georgia in 2016. Both the commission and the Marietta Police Department urge abuse victims, as well as anyone who knows of someone being abused, to contact 1-800-33-HAVEN for help. The National Domestic Violence Hotline is another great resource. They are available “24/7/365” in English and Spanish via website chat, phone call or text at 800-799-7233. "Reach out to your local law enforcement ask us to just go check and make sure that everyone is OK," McPhilamy said. "Certainly we're not trying to pry in anyone's relationship but we want to prevent another tragedy like this from happening."